New construction in Denver is hard to come by. And if you’ve been searching to buy a new home in Denver, you might be wondering why this is the case. You’re not imagining it, and you’re not looking in all the wrong places — the market for both new and existing homes is extremely tight. That’s great news if you’re a seller, as it means you can command top dollar for your home, but it makes life rough if you’re a buyer. So, what’s causing the current shortage? Simply put, builders aren’t constructing enough new homes in Denver. The area needs 16,000 to 18,000 new homes per year to keep up with population growth, the Denver Post reported in February. Last year, builders started just 11,000 new homes. While that number represents a 22 percent increase from 2015 housing starts, it’s still far below what the Denver metro area requires. Denver also needs more lower-priced homes, which are in greater demand than higher-priced homes. Why aren’t builders stepping up the pace of construction to meet demand? It’s not that they don’t want to. Years ago, the state legislature changed the laws regarding condos and townhomes, which virtually stopped production on these types of homes in Denver, explained Craig LeMessurier, Senior Director of Corporate Communications with one of the largest homebuilders in the United States, KB Home. Today, condos only account for a about 2 percent of all permits, he said. In addition to regulatory barriers and a limited supply of lots, a lack of construction workers is contributing to the new home shortage. It’s challenging to increase new home construction by more than 10 to 15 percent per year, and even with 15 percent annual growth, it wouldn’t be until 2019 or 2020 that Denver would see enough new homes built each year, according to the Post. New home construction isn’t faring much better nationwide. The country’s 872,000 single-family housing starts per year, the highest number in nearly a decade, reflect the type of activity usually seen during a recession, which the United States has not experienced since June 2009. Access to lots and labor are hindering growth across the country, and rising material prices are also a concern, according to the National Association of Home Builders (NAHB). Still, NAHB chairman Granger MacDonald said in a press release that builder confidence in the housing market appears to be rising, and the NAHD/Wells Fargo Housing Market Index indicates that builder confidence reached a 12-year high in March. Nationwide, new single-family homes were selling at a rate of 592,000 units annually as of February, and the median sales price was just below $300,000. 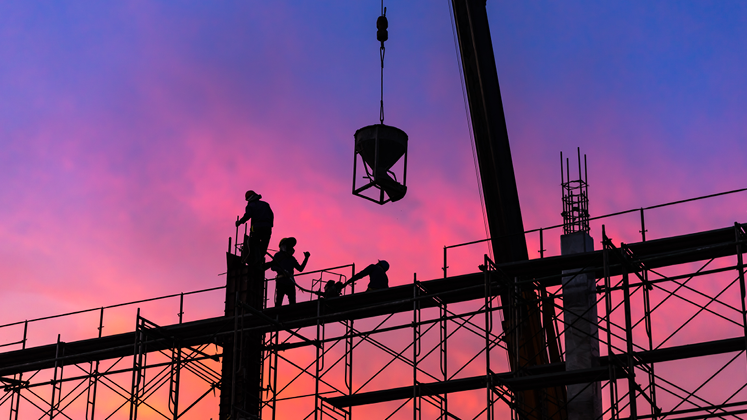 In a January article for Construction Dive, an industry news and analysis website, editor Hallie Busta writes that low resale inventory is contributing to demand for new homes, but a limited labor supply, increases in material prices, expensive lots, and regulatory burdens are making it take longer and cost more to complete new construction projects. Existing homeowners who want to sell but don’t have enough options for their next home are hesitant to list. Sound familiar? The same problems that plague Denver are plaguing the entire country. The number of homes for sale in the Denver metro area hit an all-time low of 3,878 units in February, according to the Denver Metro Association of Realtors. The record high occurred in February 2006, when 25,484 listings were available. The median price of single-family homes was up 11 percent compared to the same time last year, and there were about 8 percent fewer of them for sale. Condo availability has increased by 19 percent since last year, but despite the higher inventory, prices continue to climb. Buyers face extreme competition to buy homes priced below $400,000 in Denver. The average year-to-date sold price is just over $400,000, and the median price is $355,000. (Related: What Is My Home Worth in Denver’s Hot Housing Market? )Besides the slow pace of new construction, which is the biggest problem for Colorado’s housing market, factors that are limiting home inventory in Denver and nationwide include baby boomers choosing to age in place and the large number of homes that investors turned into rentals after the recession. In addition, interest rates are projected to rise over the next year, which means fewer existing homeowners may want to move since it will cost them more to borrow. “In Denver, we continue to believe that the housing market will remain on a steady path of recovery this year,” LeMessurier said. “Increasing household formation, job and wage growth, and high consumer confidence should all contribute to strong demand for homes,” but insufficient levels of inventory are available to meet this growing demand. Usaj Realty has the professionals to help you find your next home, even in this tight market. We are here to go above and beyond for you and help answer all your questions. Please contact us at 720-398-2999 for more information.